Progress is continuing on the Italian Wars Project, this week I have added some "light cavalry" to the mix. 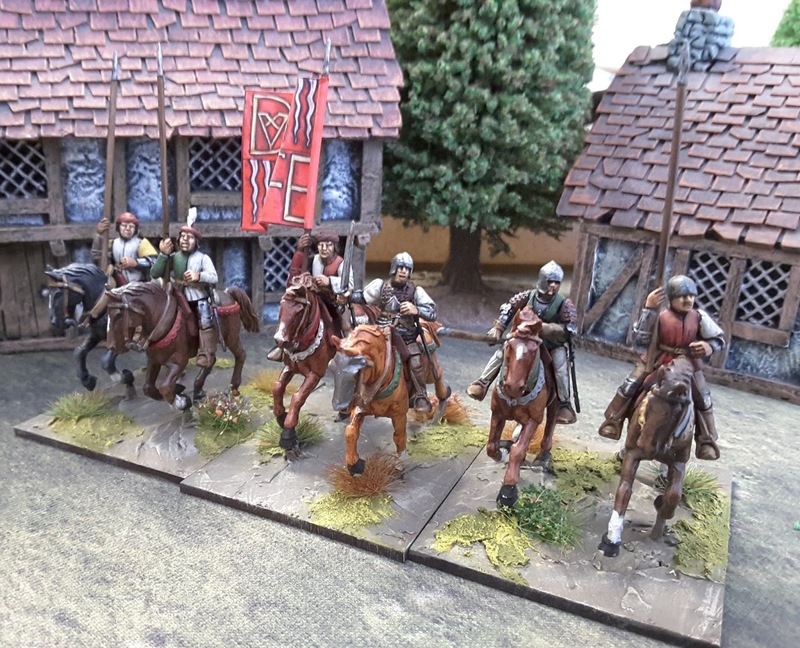 Made up from the excellent 28mm Perry Miniatures plastic box set, they are exactly the high quality fare you would come to expect from that company. I'm using the box set for these lance armed troops as well as Mounted Crossbow. Add into the mix the officer, musician and Standard Bearer uses plus the Bow option, I'm not using and they must be one of the most versatile box sets avaliable. Representing the lesser armoured squires who were the middle rank in the three man "lance" of the time, I plan to use these troops as a method of bulking out the Gendarme as well as using them as a stand alone. Next up will be some Mounted Crossbow.